While trends in photography come and go, a painted portrait is a timeless investment. 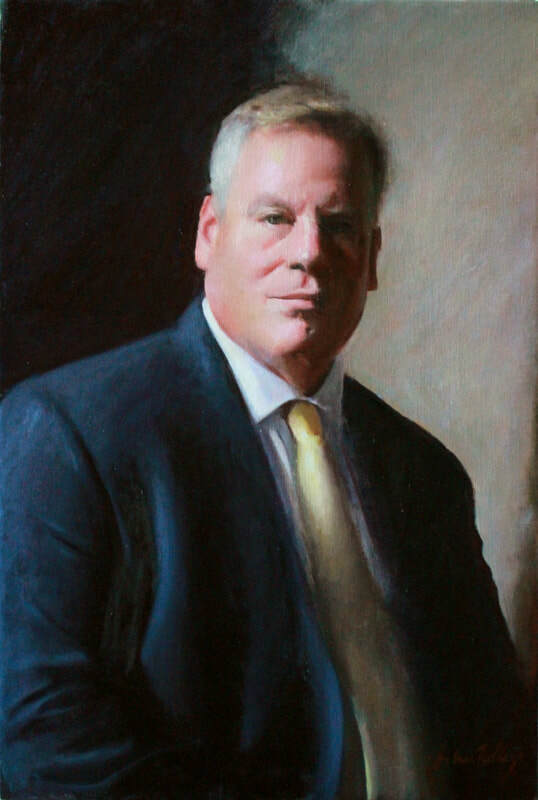 Whether you desire an image of a family member to hang in your home or a visual record of a respected leader to grace the walls of your school or business, John Folley can work with you to provide a beautiful portrait that will capture personal character and remain a treasure for generations. For the finest possible portrait experience, live sessions are desirable. 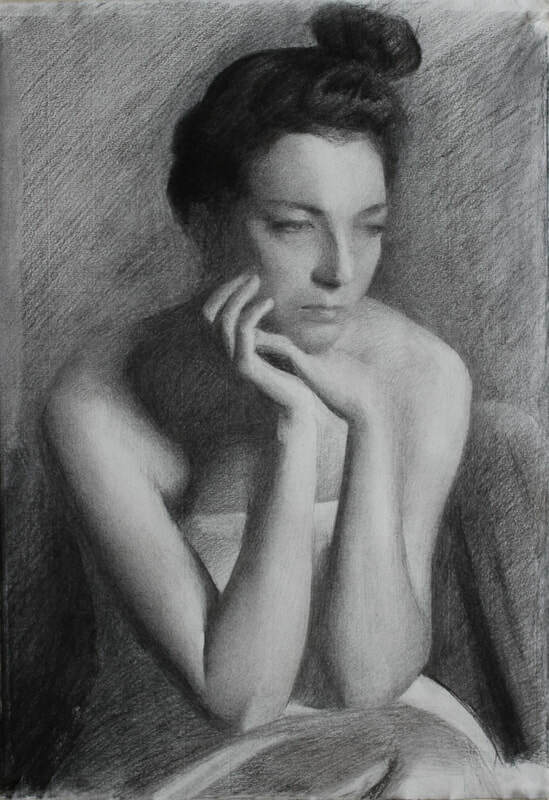 Depending on the size of the painting and the chosen pose, John would need at least three sittings of three hours each and would work on your portrait between sittings. He will work with the client to achieve a flattering, graceful pose and to ensure the client's comfort throughout the process. Where live sessions are not possible, John is happy to work from a photograph. He will provide a photoshoot on site or the subject can travel to his studio. After submitting a selection of 5-10 photos as options, John will then use the selected photo as the reference for his final portrait. ​In both cases, the commissioning party will have several opportunities during the process to provide feedback so that the final result is perfectly satisfactory. If you have questions, please feel free to inquire. 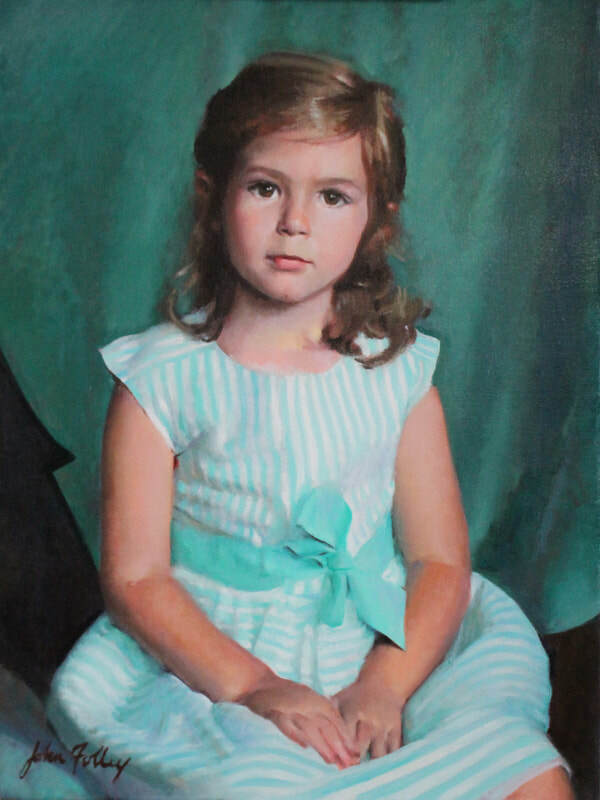 We would be delighted to discuss the portraiture process with you. Two-person or family portraits also available. ​Additional travel expenses may apply. Highly polished, beautiful, drawn images from life or photograph. Pet Portraits and House Portraits also available.